Things have greatly heated up in the Brexit talks debating the terms via which the United Kingdom (UK) will leave the European Union (EU). Things were going badly before Prime Minister Theresa May tried to slam-dunk a “non-Brexit” Brexit on her cabinet, which resulted in the resignations of her Brexit Negotiator and her Foreign Secretary, Boris Johnson. The UK’s new Foreign Secretary, Jeremy Hunt, likely shocked Prime Minister May with one of his first pronouncements on the Brexit situation. Secretary Hunt bluntly warned his European counterparts that if the EU doesn’t change its attitude regarding the Brexit negotiations, the chances of a “No Deal” Brexit will increase and that there could be a “fissure” between the UK and EU that may last a generation (first link). That is about as close to an ultimatum as you can get in diplomatic terminology. 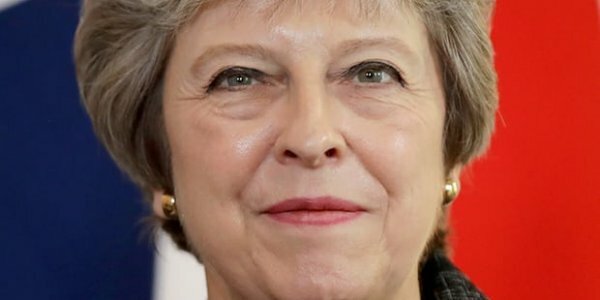 Prime Minister May quickly sidelined her negotiating team (second link) and took charge of the Brexit negotiations herself, an act which may help her temporarily or which could cause her to lose control of her government. By putting herself “on the point” of the UK’s Brexit negotiating team, she has linked her political future to the outcome of the negotiating process. Everyone in the UK, in and out of government, can now focus their wrath on her if she takes positions not approved by key constituencies. It must be remembered that PM May was on the Remain side of the Brexit vote, meaning she wanted to stay in the EU, not leave it. Her selection by the Tory party as the new Prime Minister of the UK was more than a little odd. Since the Leave side had won the national Brexit vote, it was logical that a Leave politician would head the new Tory government. Logic did not prevail as Ms. May, a Remain politician, headed the new government. There is a growing chance the UK’s Parliament will not approve the final Brexit deal. The EU is haughty and imperious toward the British regarding the Brexit talks, as the new British Foreign Secretary strongly inferred in his blunt comments. However, the Brexit approval process is a riddle wrapped inside an enigma. Not only will it be very difficult for the UK-EU talks to produce a deal that the British Parliament will approve, the third link reveals that all 27 nations remaining in the EU will also have a veto over the deal! That link focuses on what may be an intractable problem between Spain and the UK over Gibraltar. Spain wants to get some kind of concession from the UK regarding Gibraltar in a Brexit deal, or it threatens to veto any deal. The British are in no mood to give Spain any such concession, as the third link notes. The very deep divide between Spain and the UK regarding Gibraltar could torpedo any EU deal reached by Ms. May with the EU regarding Brexit. Spain has long desired to wrest Gibraltar from British control and sees the Brexit talks as a way to leverage the British to give concessions to Spain on this issue. If Ms. May gives concessions to Spain regarding Gibraltar, then it is almost certain the British Parliament will veto any overall deal Ms. May makes between the UK and EU. Hence, the Brexit talks appear to be in a stalemate position, making the odds of a Hard Brexit increasingly likely. So far, the UK has not used its strongest bargaining chip in the Brexit talks. As a contributor of much funding to the EU’s budget, the UK can simply refuse to give any further money to the EU if the talks fail and redirect its former EU contribution to domestic support for UK industries affected by a Hard Brexit. If Ms. May is serious about implementing the will of the British people in their Brexit vote, she should play this card soon. If she refuses to threaten to withhold all funding for the EU, she is showing that she does not want the British Brexit vote to be implemented, in my opinion. The fourth link reports that almost as soon as the new British Brexit Minister, Dominic Raab, made this very point, he was effectively pushed out of the way by Ms. May. I think this act shows where Ms. May’s real sympathies lie. With Ms. May herself now heading the British Brexit delegation, no one at the Brexit talks will be there representing the majority of the UK’s voters who voted to Leave the EU. Private industry groups are beginning to make plans for a Hard Brexit, as it now appears to them that such an outcome is increasingly likely. A journal for the insurance industry warned its subscribers about the situation of the Brexit talks (fifth link), and the aerospace industry has taken notice as well. The authoritative aerospace industry publication, Aviation Week and Space Technology magazine flatly stated in an article, “…a hard Brexit is looking increasingly likely” (sixth link). The sixth link is available only to the subscribers of this publication, but readers could locate it in many public libraries. It is entitled “Planning for the Worst,” by Tony Osborne and Jens Flottau, and it appeared in the July 16-29, 2018 issue of the magazine. On the American side of the pond, the Washington Times is not sanguine about Ms. May’s handling of the entire Brexit matter. The seventh link, an editorial, observes that Ms. May “has never been serious about leaving the European Union,” and it includes a surprising revelation that Ms. May, a Conservative/Tory Prime Minister, hired political “consultants to Barack Obama” to help her in the most recent national British election called by Ms. May. Why did a supposedly conservative British Prime Minister seek help from American Leftists in her election campaign? Hmm. The final link, a column by Wesley Pruden in the Times, cites the intensity of the statements made by Ms. May’s cabinet secretaries who resigned from her cabinet to protest Ms. May’s rather pro-EU Brexit positions. Her former Brexit Secretary, David Davis, said he “would not participate in a betrayal of his country,” and her former Foreign Secretary, Boris Johnson, said Mrs. May was “lacking guts” and that her Brexit negotiating style was akin to attempting to “polish [excrement].” Winston Churchill would have been proud of both of them, I believe. Too bad that Mr. Nigel Farage isn’t leading the UK’s negotiating team. If he were leading the team, the majority Leave voters in the Brexit vote would finally have their voices represented in the Brexit negotiations. All of this has a possible ramification for biblical prophetic fulfillment. As a variety of my previous posts have documented, the EU itself is under tremendous internal strains and additional EU nations may also decide to emulate the UK and leave the EU. Indeed, the issue of unchecked immigration could motivate some EU nations to all leave at once. The desire of the EU to have its military force may be another major sticking point for many EU nations who, realizing that the EU is dominated by Germany, may decide to leave the EU before the EU bureaucracy appoints the equivalent of modern Gauleiters to supplant the national leaders of EU nations. Also, Germany and other EU nations have been consistently refusing to keep their promises to boost military spending to levels needed to keep NATO as a viable military alliance. Have they been dragging their feet in boosting NATO spending because they secretly wish to allocate new military spending to an EU military force which would have a command structure outside of NATO? If so, a major confrontation is inevitable between US President Donald Trump and any EU nations that want to fund a military force, not under NATO/US control. Indeed, a break-up of the EU could lead to a break-up of the NATO alliance as well. It is my opinion that many European nations (especially the Eastern European nations that used to be in the Warsaw Pact but now face Russian forces to their east) would rather be allied to a US/NATO command structure with strong military forces instead of to any German-led EU command structure with weak military forces. The Bible prophesies an alliance of “seven heads and ten horns” will deliberately overthrow the world’s current globalist insiders (Revelation 17). Revelation 18:2-3 pinpoints the leaders of the current globalist world system as an insider cabal of public and private world leaders who have personally benefited immensely from the global world political/financial system. That prophecy foretells the doom of the “kings of the earth” and the “merchants of the earth” who have been the leaders of this insider cabal. Revelation 17:16 has language that indicates the seven heads and ten horns will implement a very hostile attack on the globalist world system when they overthrow it. Some of my previous posts have also examined the possibility that a collapse of the EU could very easily lead to a collapse of the Euro currency itself–leading to the financial crash that is prophesied in Revelation 18. That prophesied crash may be triggered by some other global event, but the growing fissures within the EU could precipitate a crisis that would fulfill Revelation 17-18 very quickly. For a more in-depth examination of the biblical prophetic ramifications of how Revelation 17-18 could be fulfilled in our future, please read my articles, Are We Living in the Biblical Latter Days?, Is Babylon the Great about to Fall…Ushering in a New Beast System?, and The Babylonian Origin of the Modern Banking System.